R: Single Knots are considered the best method of knotting producing a tinyknot for each individual hand-tied hair. 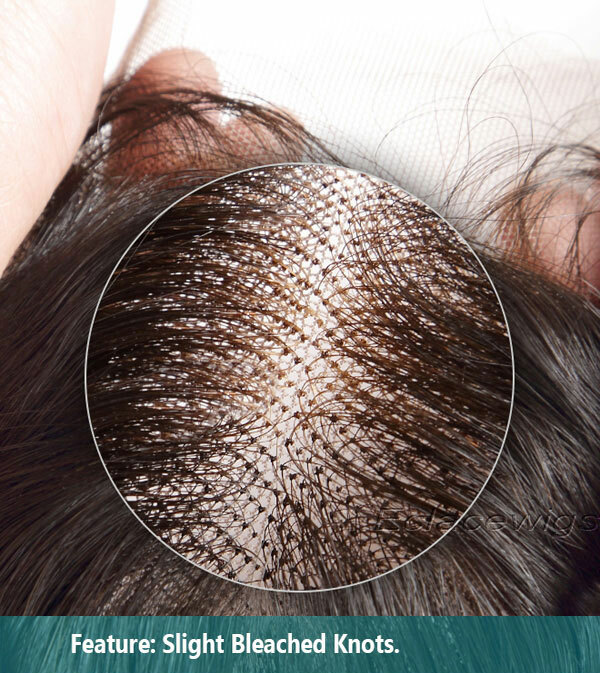 Two or three individual hairs can besingle knotted at one time speeding up the process to the detrimental of creating a larger knot with less aesthetically pleasing finish. R:Double knots literally involve knotting hair twice to produce a double knotswhich provides a stronger,more robust knot.The resultant knots are however evenmore visible under close inspection.It's easy to detect,but not easy to shed. R: Single Knots are hard to detect, but easy to shed, by contrast, Double Knotsare hard to shed, but easy to detect. 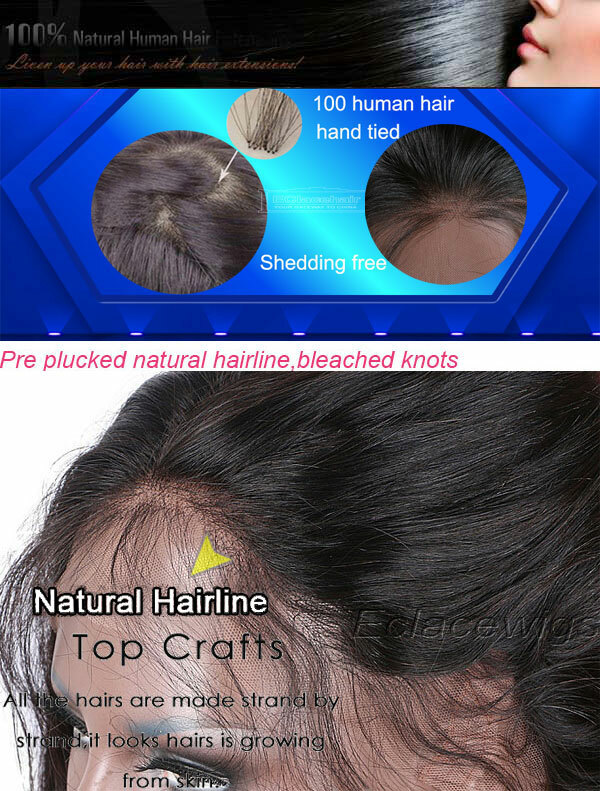 As to the advantages and the disadvantagesof the two kinds of knots, we recommend single knots in front hairline 2 inches or around perimeter 2 inches. 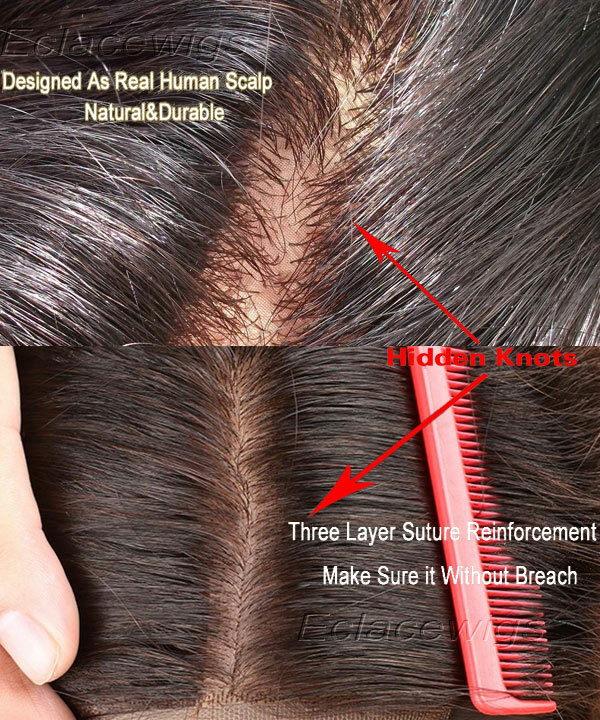 R:It means the knots are hidden under the inside mesh( It has two pieces of mesh),and completely invisible, giving the impression the hair is growing out of the scalp. It is the best method to hidden the knots at present. But the procedure ofprocessing is very complete, regularly needs 40 - 45 days to complete. R: Bleaching the knots is just meant to make the knots less detectable.They won't beclear or totally invisible.The bleached hair will help to hide the knots in about 1/4or 1/2 inch fronts.It is a method of making the hair appears as if it is growing fromthe scalp.It gives a realistic view effect. 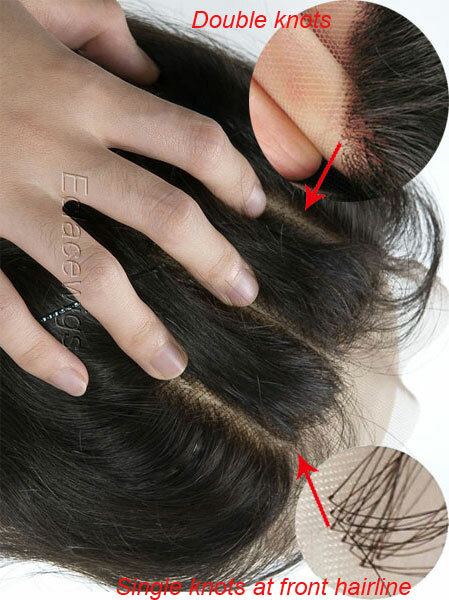 If the original hair color is Black,DarkBrown, Medium Brown or Brown, then knots that hold the hair onto the base will beslightly lighter and will be much less visible. 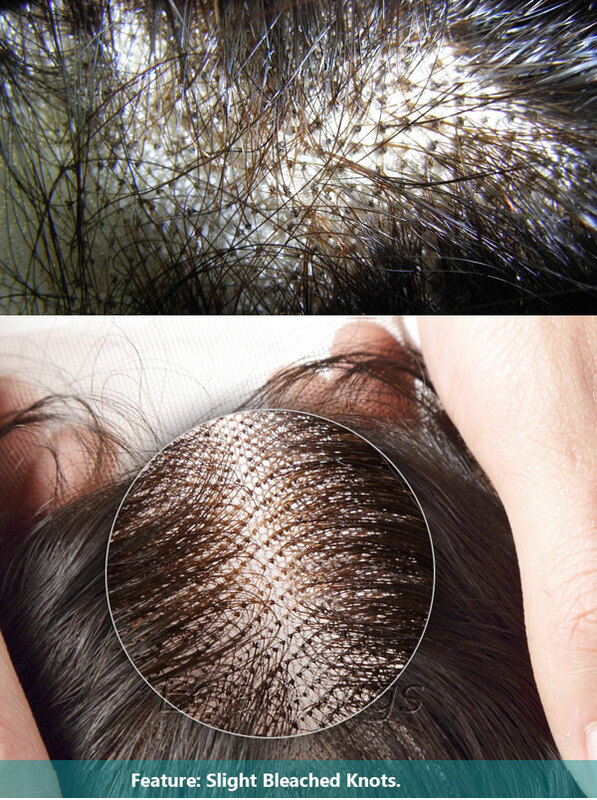 Bleached knots, usually only done atthe lace front and it helps create the illusion that your hair is growing out of yourhead.If you want to apply bleached knots, you should bleach the hair knots in fronthairline 2 inches or around perimeter 2 inches,throughout will make the hair to shedeasily.The bleached knots can also be bleached in an area of the unit that is polycoated.Depending on your hair color,the bleached knots will be light brown or blonde. R: The knots will be smaller after bleaching, but it is bad to the hair quality and itwill be easy to shed. Bleached Knots as the hair is already light. will be light brown or blonde. creating a larger knot with less aesthetically pleasing finish. hairline 2 inches or around perimeter 2 inches.